A Large Black Character Beard including an attached Beard and Moustache ??? Ideal for any fancy dress occasion! Make an instant transformation with this brilliant Large Black Character Beard! This fantastic Large Black Character Beard features an attached long Black beard and moustache that will help you transform into whoever you want to be! This Large Black Character Beard is suitable for any occasion, from being a Pirate travelling the high seas, to a TV & Film Character! 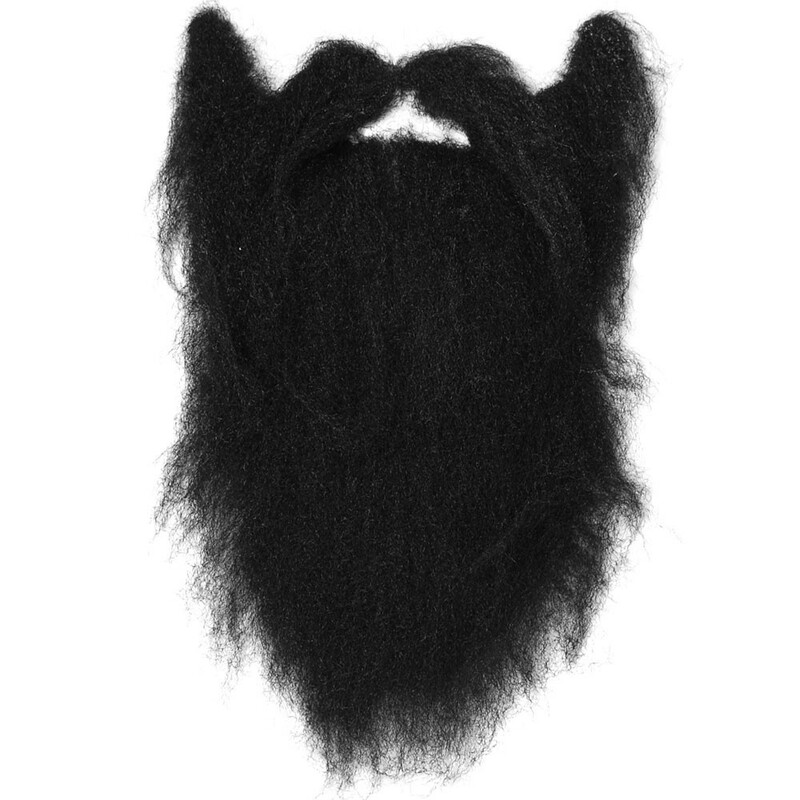 No matter what the occasion, you will be sure to make an impression with this fantastic Large Black Character Beard. A Large Black Character Beard including attached Beard and Moustache.